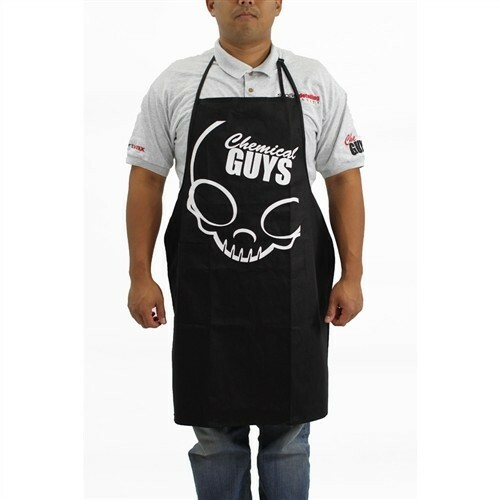 THE Chemical Guys SHIRT COMES IN 2 SIZES LARGE AND X-LARGE. Due to popular demand we will be offering a women's size ASAP. The Chemical Guys shirt is 100% machine washer friendly and uses In-Bed technologies to silkscreen the shirt. We Like getting things done In-Bed and so we though the concept "In-Bed" was great, even though no one here had any idea what it meant. In-Bed technologies means the shirt image is run two times with a new kind of ink to ensure the color will never run and the image will not fade or look like crap after numerous washes.